The Upper Room is a place of possibility. 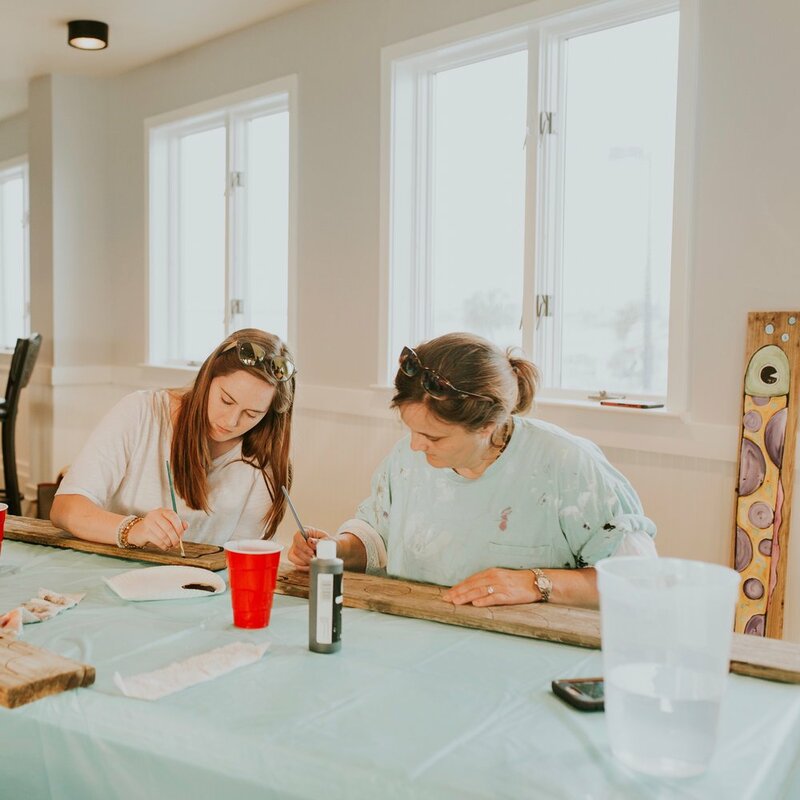 You could see all kinds of events here: from painting classes, to yoga, to business meetings, to concerts and services, to weddings and receptions. 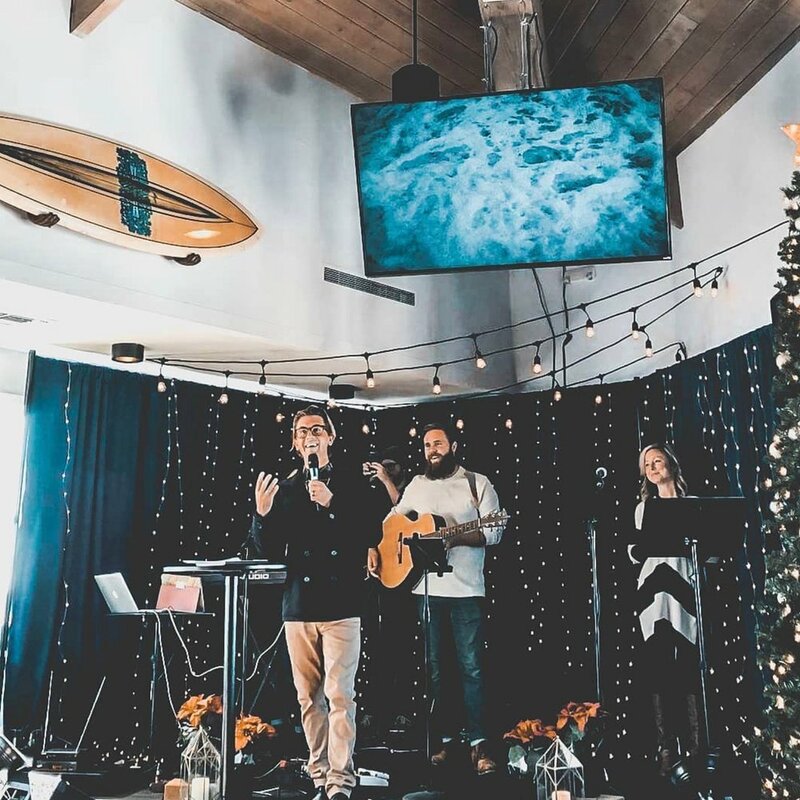 The Upper Room is about connection. The following are a few visions of how we like to use the space. Many beautiful weddings have happened at the Upper Room, and we look forward to the possibility of hosting yours too! Down the hallway from the event space is Drowsy Poet on Pensacola Beach, and we love to see locals and travelers stop by before or after some time on the hot sand, grab an iced latte, and relax in the comfort of a little AC and in view of the water all around. In our venue we have the Upper Room Church meeting on Sunday morning, where members come together for the service and for fellowship. Feel free to swing by and join the event and introduce yourself to the welcoming leadership! Monthly, the Upper Room hosts a local artist who teaches a painting class for any and all creative and artistic individuals and groups. Email us and ask when the next "Paint n Party" class will be! We like a good party. If you have a birthday celebration, baby shower, corporate celebration, concert, or any event that might be a good time, the Upper Room is the place to host it. Connect with us today about rates and availability!